What should you do in an emergency? For many people, that’s an easy question to answer: simply call 911. However, if the emergency has to do with your teeth and gums, you should actually call us at Cosmetic & Family Dentistry of Weatherford. Dr. Deborah Romack, Dr. Garrett Mulkey, and our team are better equipped and trained to handle these kinds of cases and help you get the relief you need quickly. If you find yourself in any of these situations, be sure to call us first. When you call us, we’ll make every effort to see you as soon as possible—we’ll even make same-day appointments! Also, our highly-skilled team will walk you through basic first-aid. 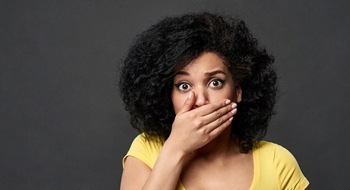 If you find yourself in the middle of a dental emergency, don’t call 911, call us! We will happily walk you through first aid steps and pain management over the phone, but you can keep reading for some basics that can help you stay comfortable until you reach our office. If you’re experiencing a dull, throbbing pain, sharp pain when you bite down, or lingering sensitivity to heat or cold, you may be experiencing tooth decay or damage. In many cases, these symptoms are indicative of a need for root canal therapy. Take over the counter pain relievers and use topical analgesics to alleviate discomfort. You should also avoid using the painful tooth to chew. When teeth are chipped or broken, you will need to take care to protect surrounding structure from damage. If there are sharp edges to the broken tooth, bite down on gauze or clean cloth or place a small amount of orthodontic wax over the sharp edges. Take over the counter pain relievers and use topical analgesics to alleviate discomfort. You should also avoid using the chipped or broken tooth to chew. If a full tooth has been knocked out, we may be able to replace it, but time is of the essence. Make sure to call us right away. In the meantime, retrieve the tooth, and if at all possible, place it back in the socket. Bite down on gauze to hold the tooth in place and slow blood flow. If you can’t replace the tooth, store it in water or milk. You should still place gauze or clean cloth to slow blood flow. Take over the counter pain relievers and use topical analgesics to alleviate discomfort. You should also avoid chewing with the part of the mouth where the tooth was knocked out. If you lose a filling, you will not likely be able to replace it. Take special care to keep the tooth clean and avoid using that part of your mouth to chew. If your crown becomes dislodged, try to reattach it using a small amount of denture adhesive. Take over the counter pain relievers and use topical analgesics to alleviate discomfort. You should also avoid chewing with the damaged tooth. The cost of dental emergency care will be dependent upon what restorative treatments are necessary to repair your smile. During your emergency dentistry appointment, we’ll walk you through treatment options and pricing to help you budget for the cost of treating your dental emergency.